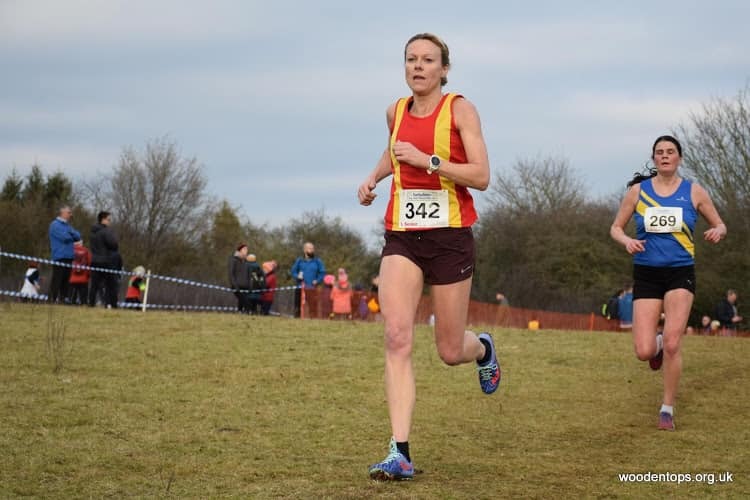 Spenborough athletes turned out at the Yorkshire Cross Country Championships on Saturday on the fields beside the Lightwater Valley park near Ripon. Jenni Muston and Joe Sagar were the star performers for Spenborough Athletics Club. Jenni had a great run to place 28th behind winner Claire Duck from Leeds. Joe was competitive among the leading runners and his 17th place reinforced the good cross country season that he is enjoying. Emile Cariss from Leeds defended the title he won last year. There was plenty of support for popular international triathlete Jonathan Brownlee from Bingley Harriers who finished third. The Spenborough team finished 21st of the 38 teams. Behind Joe Simon Bolland (79th), Tom Dart (81st), Henry Carter (195th), Daniel Dalton (229th) and Lee Dolman (313th) completed the team. The best of the Spenborough young athletes was Matthew Dalton who finished 17th in the under thirteen boys race. Reuben Byfield placed 67th in the same race while Sophia Foulgar was 66th in the under thirteen girls race.